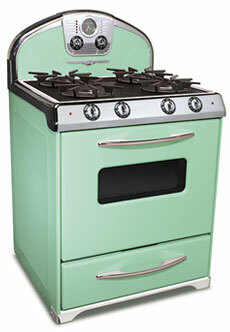 The only North American retro-styled range with a self-cleaning oven. Imagine these beautiful pro-style ranges in your retro, contemporary, modern or arts-and-crafts kitchen! Choose the model, features and options that suit your style and cooking needs. 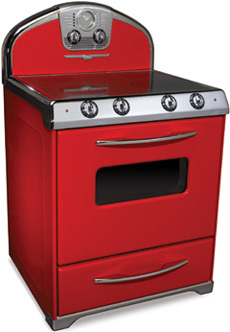 Northstar ranges combine timeless styling with state-of-the-art convenience and performance features. List of features and options below. 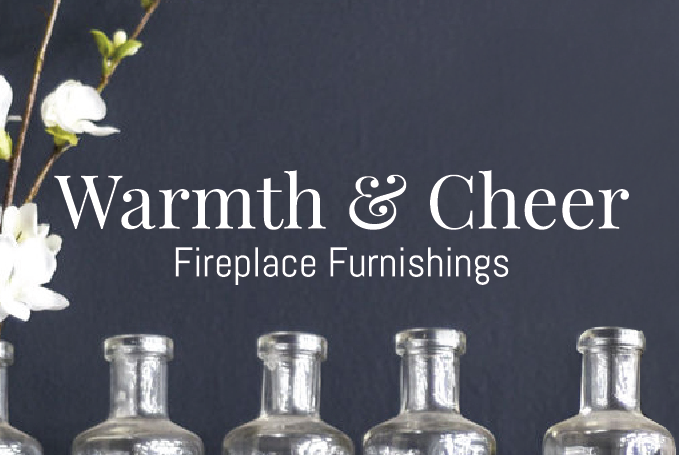 Choose from traditional cast electric elements, high-speed radiant elements under ceramic smoothtops, high-efficiency sealed gas burners – or a combination of gas and smoothtop. Prefer a gas top and electric oven? You’ll love our “dual fuel” options. 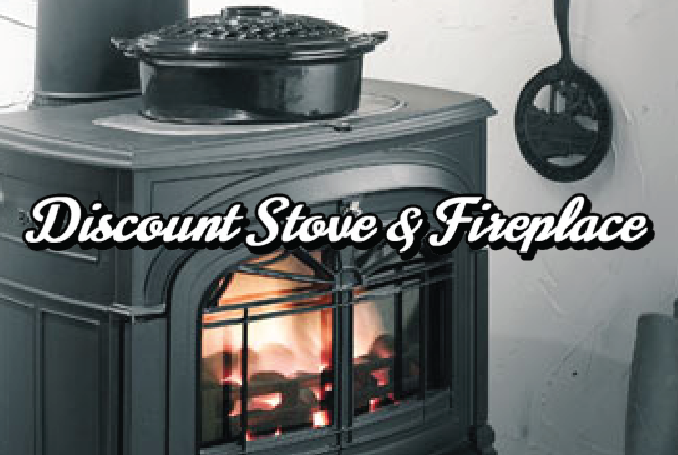 Design your dream retro kitchen on Elmira Stove Work's website below. A 4.3 cu. ft. oven (4.0 cu. ft. gas and convection models) on 30″ models; 5.0 cu. 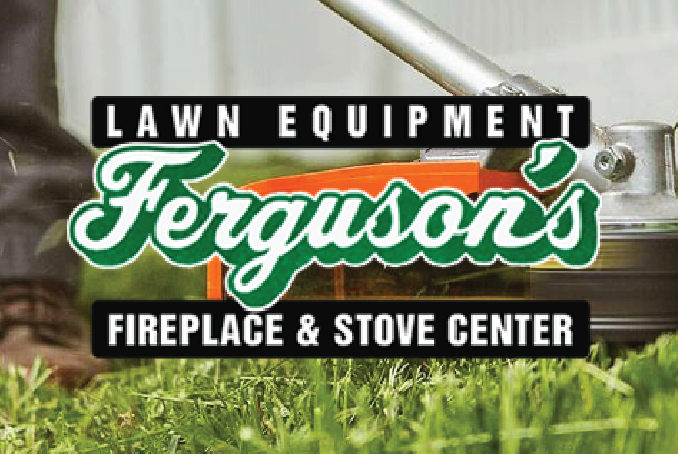 ft. on Model 1947; offers the space and capacity you need. Convenient self-cleaning feature (with delayed start) is standard. Dual halogen lights (incandescent on gas ranges) with over-ride let you see what’s cooking with the door open or closed. Northstar’s True Convection ovens have a third heating element surrounding the convection fan. Hot air circulates evenly providing speed and consistent professional results. 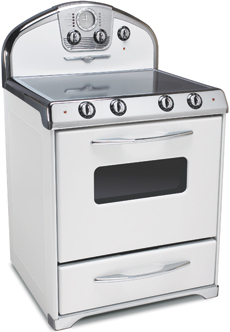 True convection is standard on 36″ Model 1947; and an available option on 30″ models 1954 (electric) and 1955 (dual fuel). the timer, delayed bake and delayed self-clean functions. Five seconds after programming/ function completion, the LED display vanishes. Choose from any of the nine great not-so-standard Northstar colors – Beach Blue, Candy Red, White, Mint Green, Bisque, Robin’s Egg Blue, Textured Black, Quicksilver or Buttercup Yellow – or make a statement with your own choice of custom color, such as the Flamingo Pink.